The emotion you’re feeling is “Frustration”. With a capital “F”. Maybe even add in some anger because you’ve been working really hard towards your goal or on a project and it just isn’t working. Or you feel like you’re stuck in a dead-end job and can’t find another one. And you may not even really know why. All you know is that you seem to be stuck and no matter how hard you try, you don’t seem to get anywhere. You’re just spinning your wheels in the mud and all you feel is pure frustration. Sound familiar? Even if feels like nothing is working, look closely and you will probably find at least something that is going right. So, that’s good. You’ve found something that’s working. Now, how do you improve it? By asking this question, you’ve taken yourself out of the negative mindset of “it’s hopeless” and are back to focusing on the positive. There's something that’s working and that will give you a clue of what direction to focus on. You may find that even if your previous issues come up you’ll be able to resolve them in the process of concentrating on your improvements. Write down everything you accomplish in a log. If you do it in a monthly format you will be able to see all that you have accomplished in just one month. You may be surprised by how much you have done. 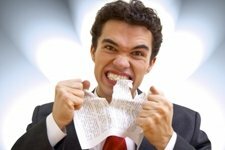 If you realize there’s not much on the list, it may open your eyes to the fact that you may be procrastinating more than working or that you are using too much of your energy going in too many directions and that you need to focus more. Hopefully, you will have lots of items on your list then you can see that even though it may not feel like it, you are moving forwards. The log will also help to highlight where you were the most effective and where you need to work harder. - What do you need to do in order to get there? When you’re trying to solve a problem, you can get so wrapped up in trying to find a solution that you add unnecessary clutter, noise, and tasks to a project because you thought they “might” be a solution. Working on this website, I get bombarded by offer after offer of “easy ways to run your website”, “get more traffic”, “make more money” etc. They’re just noise though and usually a waste of my time even reading them. These people are just trying to make money off of me. They have no interest in whether I succeed or not. When people are frustrated by how slow the hard work process is taking, they get tempted by these “here’s what you’ve been missing” and “I’ll make it easy for you” offers. Usually, it ends up that if you do get tempted by the offers you discover 6 months down the road that if you had just stuck with your first plan and just kept working at it, you’d be a lot further ahead by now. Not to mention richer from not having spent money on the Get Rich Quick schemes. Believe in yourself. Simplify and go back to the basics. Determine what is really necessary and remove everything else. Anything that takes your time and effort that isn’t adding value, should be eliminated. You always have options. You just need to brainstorm and figure them out. Tell yourself you need to come up with 8 possible options to what you’re dealing with. Just knowing that you have lots of options will help to make you feel better. You won’t feel like you are trapped in one negative situation. From your list, figure out the best direction and go for it. The other thing that can happen is that you start to spend a lot of time worrying. Worrying is a definite waste of energy and does not move you in a forwards direction. Only taking action will. Once you start moving forwards again, you will most likely find that you worried for no reason. A lot of times you can get stuck on focusing on what you don’t want to happen or fearing the absolute worst thing that could happen. The top athletes of the world will imagine themselves competing flawlessly over and over again. There is no room for failure in their minds. This is what you need to focus on as well. See yourself achieving your desired outcome. What will it look like? What will it feel like? What will you say? How will you feel? Take the time to visualize it and really feel it. It will inspire you to keep moving forwards. Things are usually not as bad as they first appear. Sometimes things seem much worse simply because we’re tired or mentally drained. Taking a break and remembering to keep your sense of humour can also help. This time of frustration will pass. A positive mind is far more open to solutions and answers than a negative one that thinks it’s just “hopeless” and thinks “what’s the use?” A closed mind will not be able to see the possible solutions when they do come along. Stay positive. As with any problem, the solution is to figure out what your options are, decide on a plan, focus, and then take action. By using the above 8 steps, you should find that you’re running into fewer problems and feeling less frustration. Instead, you may find that you’re running into opportunities and you know exactly how to take advantage of them. 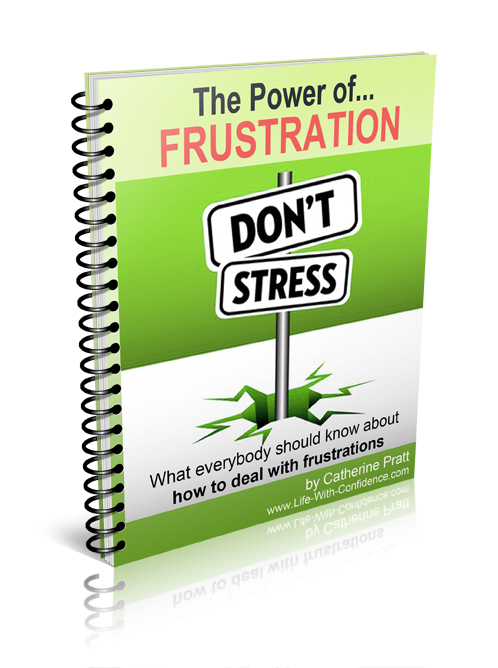 For a lot more ideas on how to deal with frustration, be sure to download a FREE copy of my book, "The Power of Frustration"